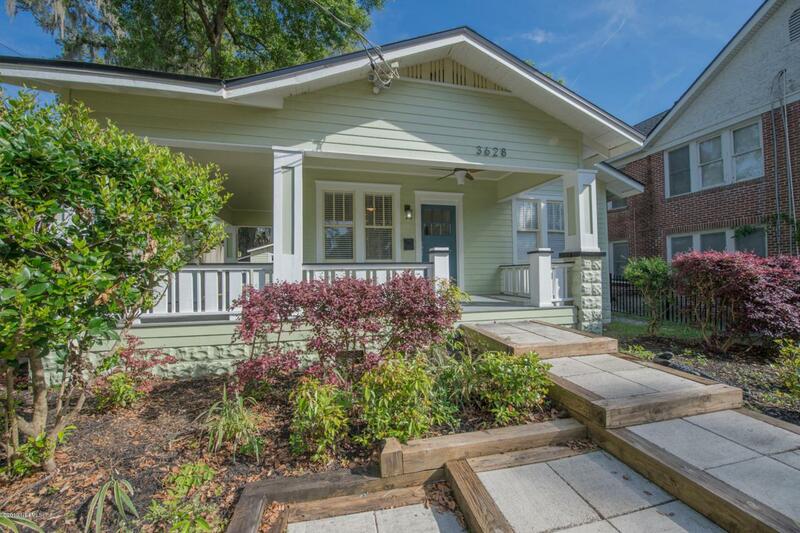 Welcome to this bright and cheerful bungalow in the heart of Avondale! 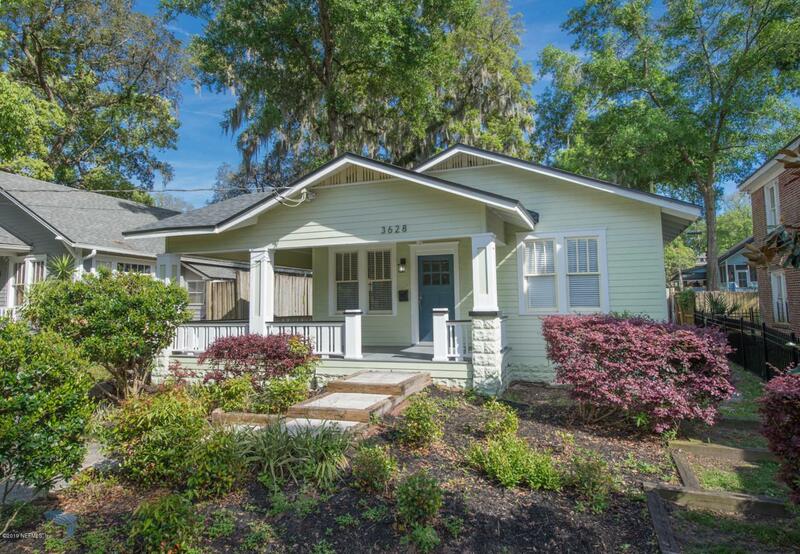 Inviting and vibrant, enjoy your beautiful garden from the spacious wrap around porch. Lovingly renovated, admire original details such as hardwood floors throughout and a brick wood burning fireplace, along with modern fixtures and updates in the bathroom and kitchen. The large kitchen includes butcher block countertops, ss appliances, and has ample storage and room for an island and eating space. 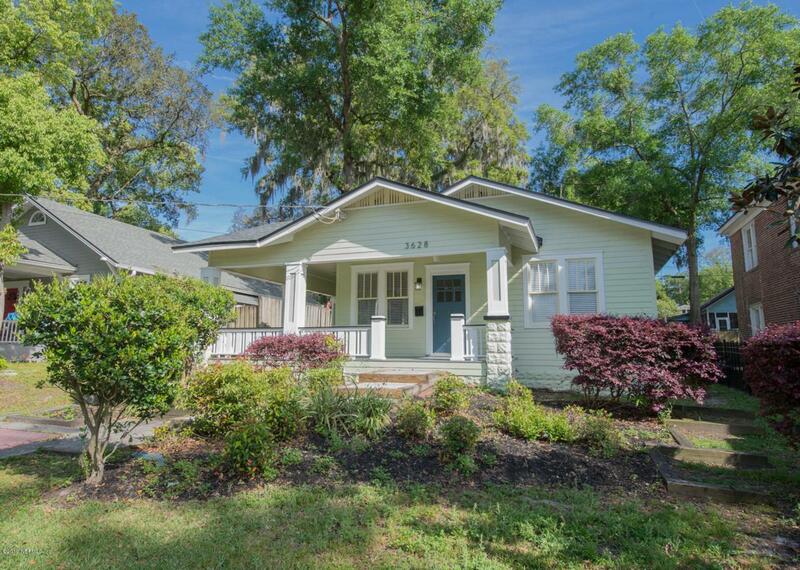 Feel confident knowing this 1928 home has structural updates including the roof (2017), plumbing, sealed crawlspace, and a reinforced foundation (Hygema). Tucked away in the backyard you will find a finished detached bonus room ready for your ideas. 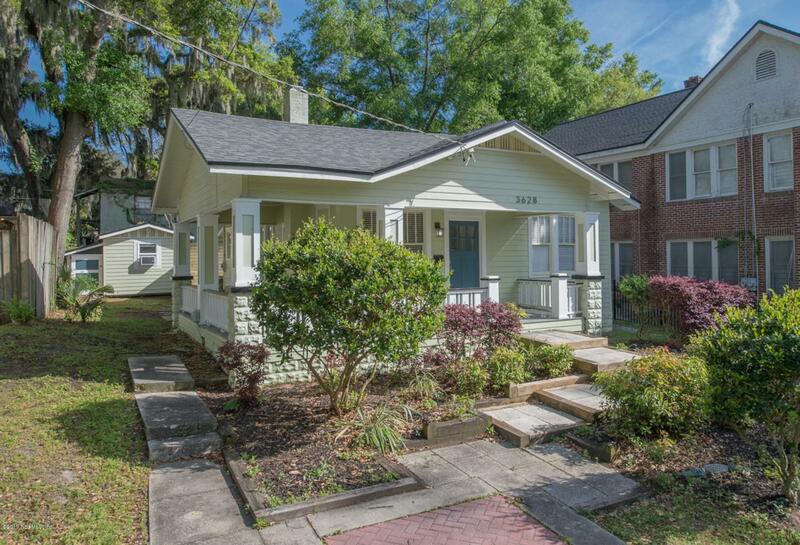 Centrally located, enjoy the best of Jax's historic district by foot or bike!